← Celebrate to Wake the Dead! Posted on April 3, 2010 | Comments Off on Happy Birthday, Washington Irving! American Literature’s first international superstar was born on this date in 1783, in a New York City still scorched by the fires of the American Revolution. By the age of five, he would be declared a dunce. He would barely complete his formal education, yet by age seventeen, would make his debut in print with nine pseudonymous letters in the New York newspapers. He would miserably study law while wooing the daughter of his legal mentor — and at her death, would immerse himself in a mock history of his home town, which would explode into the public on the back of a literary hoax. In that work, he would also give his home town a new sense of identity, wrapped up in the persona of a crusty Dutch historian named Diedrich Knickerbocker. At age 35, while living in England, he would create the first American international bestseller and introduce to literature Ichabod Crane and Rip Van Winkle. Yet, he would remain unsure of his ability to earn a living by his pen and would accept a government post in the British embassy, where he would surprise a U.S. President, and future president, with his political acumen. And still, the so-called dunce would teach himself several languages, study in the Spanish archives, and publish books on Spanish history, Christopher Columbus, and the prophet Mohammed. Years later, his expertise in all things Spanish would lead to his appointment as ambassador to Spain. Adored by the public, courted by politicians, and admired by fellow writers, he would spend his later years writing a five-volume biography of George Washington, the president and American icon after whom he had been named. His death would be mourned by a nation, his legacy celebrated by the literary lions of the day. And while his reputation took a pummeling in the early part of the 20th century, his creations have become a part of our American cultural DNA, and his reputation is, deservedly, on the rise. 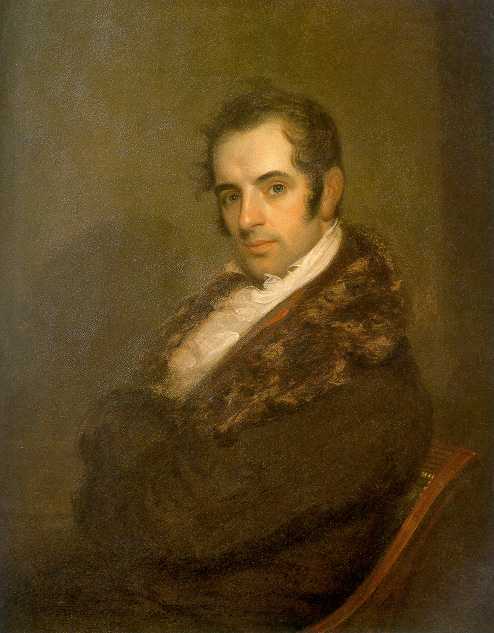 Celebrate Washington Irving today, on his 227th birthday.